The GLOW Collection belongs to the new product line HOME, an innovative series of hand-crafted products designed specifically as home or hotel accessories for the Royal Glass Factory of La Granja, Spain. Utilizing 400-year old casting molds abandoned in a warehouse, GLOW is a series of interchangeable mouthblown hurricane candle holders. There are four colored glass shades that slip onto two different kinds of hand-carved walnut wood trays. 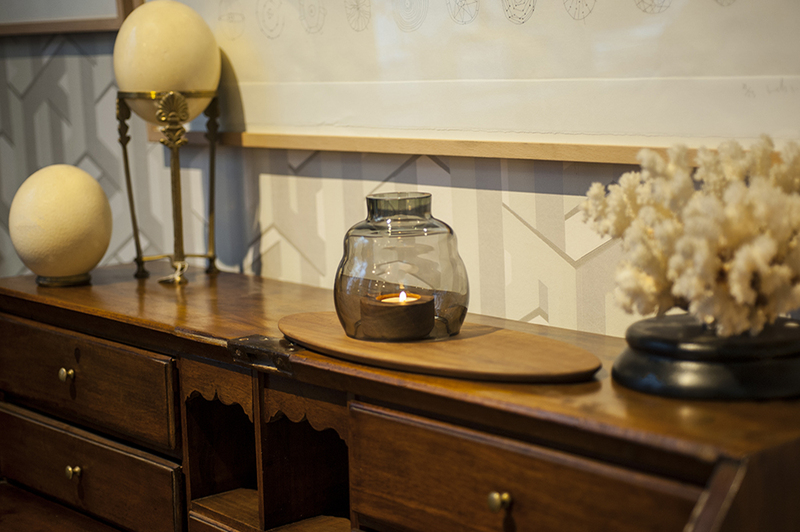 Both the glass and the wood votive candle holder can positioned anywhere on the wood surface. 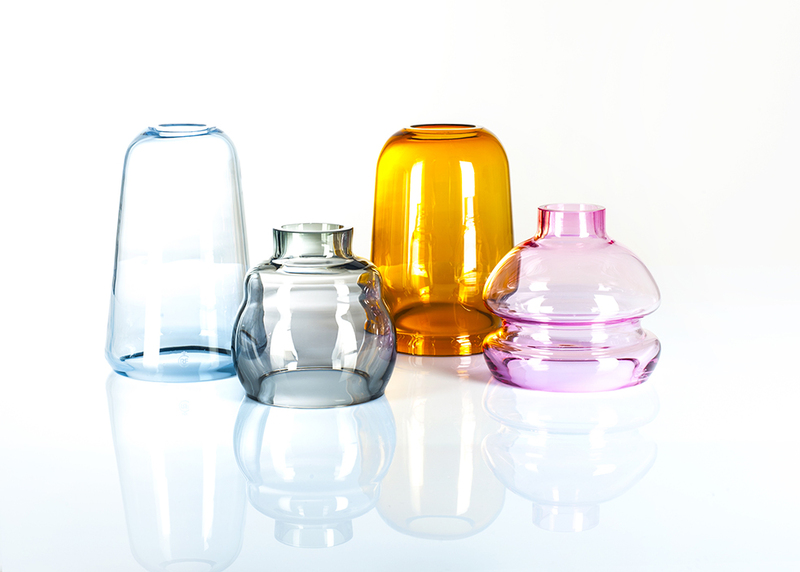 Olive, ruby, celeste and amber colors were customized to match tones found in the region where the glass is blown.